To discredit the adage “Those who can’t, teach,” look no further than Janice Borla. This summer marks the 26th anniversary of Borla’s Vocal Jazz Camp, one of the finest training grounds in the country for young singers. For just as long, Borla has ranked, albeit unceremoniously, among the best, boldest and most innovative vocalists around. For her fourth studio album, she follows Tierney Sutton’s lead, changing the name above the title to reflect all members of her group. Like Sutton, Borla has spent years honing a resplendently tight rapport with the same musicians: longest-standing bandmates Jack Mouse (drums) and Art Davis (trumpet and flugelhorn), plus guitarist John McLean and bassist Bob Bowman. 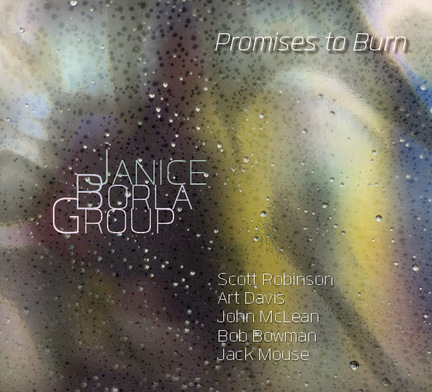 Promises to Burn marks, however, a significant change, introducing a fresh, piano-less sound as pianist Dan Haerle vacates his chair and tenor saxophonist and flutist Scott Robinson joins up. 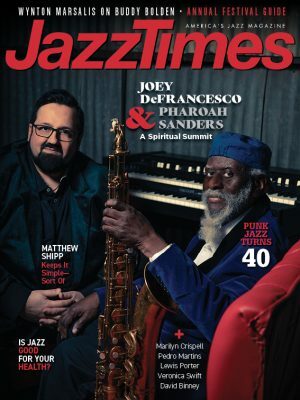 Working exclusively with Borla’s arrangements, the sextet exercises its fervent cohesion across a marvelously wide-ranging playlist, bouncing from the cool shrug of Bill Evans’ “Funkallero,” fevered swing of Lennie Tristano’s “Lennie’s Pennies” and joyous wellspring of Bob Mintzer’s “RunFerYerLife” to the wordless grandeur of Jack DeJohnette’s “Silver Hollow” and contemplative hush of Leonard Bernstein’s “Some Other Time.” Outside of Sutton, vocal-based jazz symbiosis rarely reaches such splendor.